This is a crm and internet marketing strategy diagram examples. This is a one stage process. The stages in this process are changes implemented, quality assurance, web enabling, data migration, customer acceptance, application maintenance, crm process, third party confirmation, usability modeling, crating technical architecture, preparing modeling and streamlining strategy, gathering crm strategy. 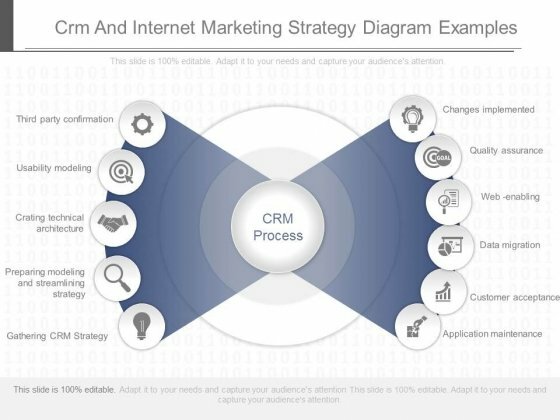 Our Crm And Internet Marketing Strategy Diagram Examples motivate your listeners. With our money back guarantee you have nothing to lose. This is a sample of account planning templates ppt slides. This is a one stage process. The stages in this process are critical success factors, summary of resources, value propositions, team action items, account plan information and management summary, account map and revenue forecast, account goal summary or objectives strategy and actions, value map, key individual profile, account plan. 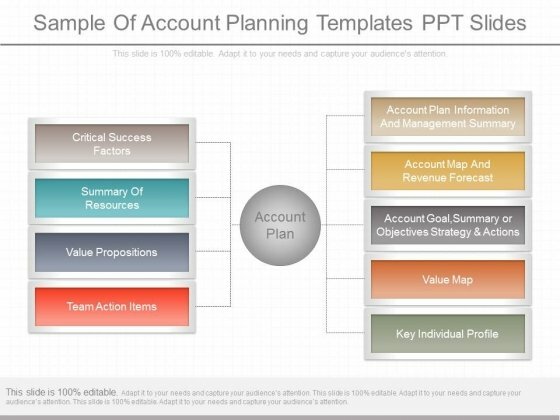 Build their faith with our Sample Of Account Planning Templates Ppt Slides. They will ally with your cause. 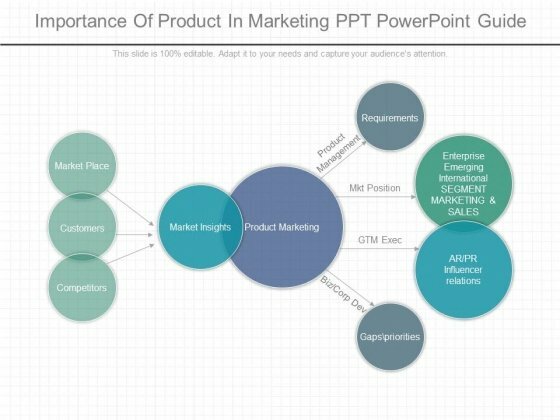 This is a importance of product in marketing ppt powerpoint guide. This is a one stage process. The stages in this process are market place, customers, competitors, market insights, product marketing, requirements, enterprise emerging international segment marketing and sales, ar pr influencer relations, gaps priorities, product management, mkt position, gtm exec, biz corp dev. Enliven the experience with our Importance Of Product In Marketing Ppt Powerpoint Guide. Give more colour to your bright thoughts. This is an example of go to market strategy approach ppt diagram. This is a four stage process. The stages in this process are issues to consider, market size growth, competition, business ecosystem partners, suppliers, industry, laws and regulations, company capabilities and resources, market entry strategy, options to enter, acquisition, minority stake, strategic alliance, marketing partner, organic entry. 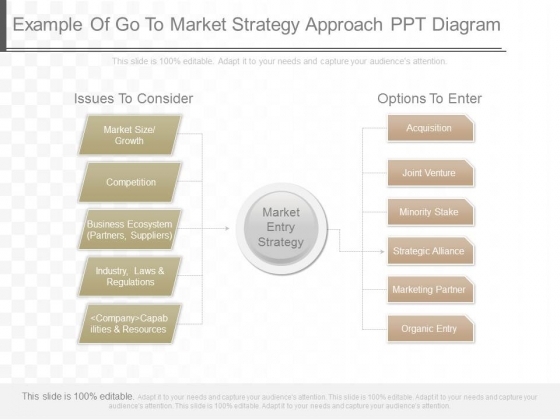 Our Example Of Go To Market Strategy Approach Ppt Diagram are really considerate. They give everyone equal attention. 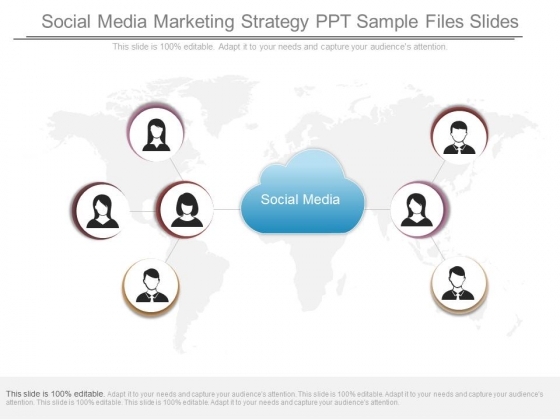 This is a social media marketing strategy ppt sample files slides. This is a one stage process. The stages in this process are social media. Our Social Media Marketing Strategy Ppt Sample Files Slides give you the clout. They add to the inherent authority of your ideas. 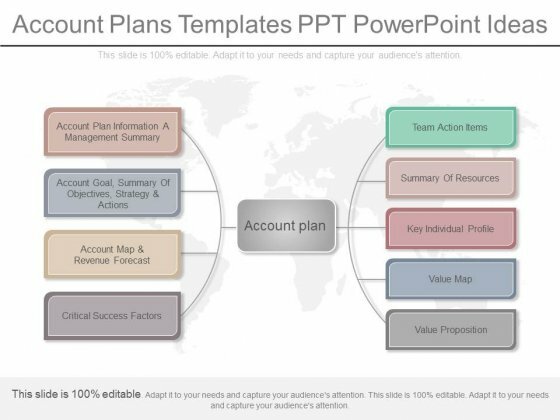 This is a account plans templates ppt powerpoint ideas. This is a one stage process. The stages in this process are account plan, team action items, summary of resources, key individual profile, value map, value proposition, critical success factors. Our Account Plans Templates Ppt Powerpoint Ideas are aesthetically designed to make you look good. We guarantee that they will grab all the eyeballs you need.